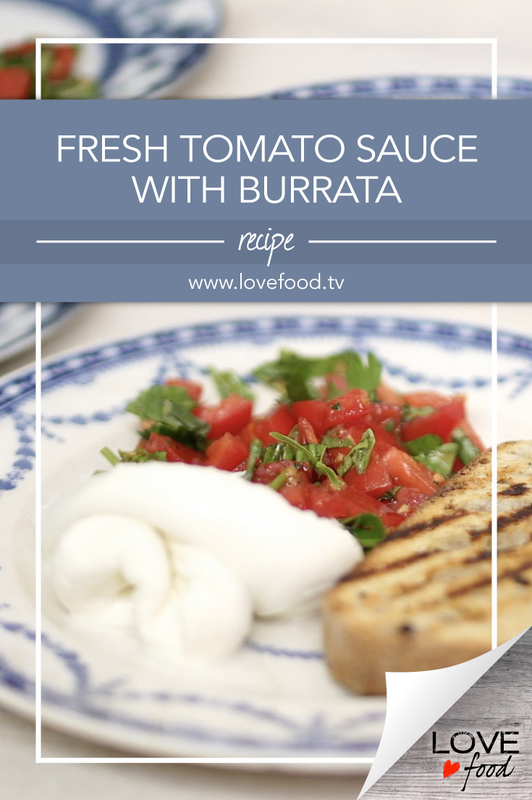 Burrata – amount depends on size. Place into a bowl with garlic, basil, parsley, oil, sea salt and pepper. Leave for 1 hour for the flavours to infuse. Meanwhile, boil the pasta. Drain, plate and top with sauce. Serve with Burrata on top and more basil/ parsley to garnish. * Burrata will probably have to be sliced. Because it’s a sack, treat it like a bowl of creaminess. Slice horizontally, and carefully place on top of pasta. Put what is not being used back into the container with water.